As part of the “One Stop Shop” solution and with “Quality On Time” in mind, the Alfabs Group Transport service is an integral part of the business today. Under the control of our Logistics Coordinator Alfabs Group run a fleet of transport vehicles to cover the transportation and delivery of internal and external jobs ranging from large steel sections, mobile plant and equipment to spare parts and consumables. 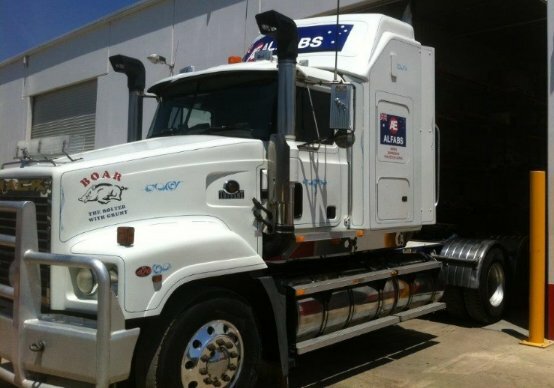 Alfabs Group can partner and work with your business to meet and exceed your transport and logistic requirements with regular movements throughout a network of industrial and mining locations. Alfabs Group offer its quality transport and logistics service with a strict adherence to WHS regulations and chain of responsibility acts with fully qualified, trained and inducted personnel.